I decided to dig into the Annual Catalogue for this instalment of "Can You CASE (Copy and Share Everything) Friday". 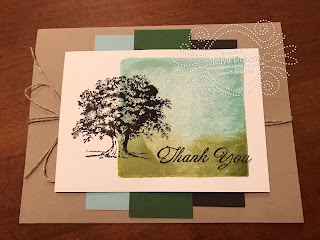 Today I'm featuring the Lovely as a Tree stamp set. Did you know that this stamp set has been part of the Stamp' Up! line since the beginning? I really love the set but often forget about it with all of the new stamps that come out. 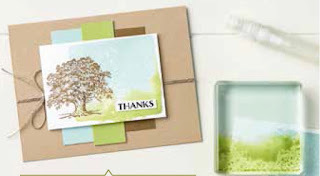 This card uses a technique where you stamp on an ink pad with an acrylic block in two colours and then spritz the block with some water. Then you stamp on your paper. It creates a beautiful background for your stamped image. I stamped in Early Espresso for the tree instead of Soft Suede as in the catalogue, but I still love the look of this card and I especially love how quick and easy it was to make. You could add more embellishments if you wanted to or maybe emboss the card base, but I was looking for a quick and easy card and this meets that criteria for sure. What's your favourite stamp set that you have had for a long time and use over and over again? Leave a comment on my blog and I'll be drawing for a prize next week from the entries I receive. Did you know that Sale-a-Bration ends at the end of March and you only have a few weeks left to earn free products with a $60 of $120 order (in Canada)? You don't want to miss out on some of the beautiful sets that are available only until March 31st. Are you interested in earning FREE product and then getting at least 20% off you orders after that? Until March 31st, during Sale-a-Bration, you can get $165 Canadian in Stampin' Up! 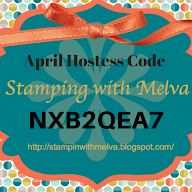 products for only $135 AND you also get 2 stampsets extra (you choose the ones you want) for Free! 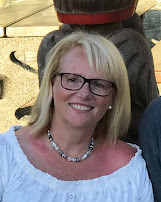 Interested in learning more, click HERE to to to my website and "Join The Fun". I'd love for you to be part of my team. If you have questions, email me and I'd be happy to answer them.